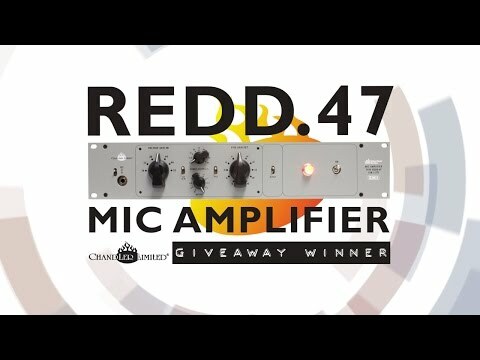 Did you just win the Chandler Limited REDD.47 Mic Amplifier? We're excited to announce the winner of our REDD.47 Mic Amplifier giveaway drawing; the winner has not been notified in advance. To find out if you've won, please watch this video. If you did not win, we will be offering more giveaway drawings, so stay tuned to our 'Featured Artist' newsletter. There's a REDD.47 sound clip video coming soon! View this page information about the REDD.47 Mic Amplifier.